CNC machines (Computer Numerical Control) use computers to control the creation of the millwork design created using our Microvellum software system. The CNC machinist can automatically control the CNC router for the ultimate in accuracy and speed. The CNC automation process is more accurate than manual woodworking and can be meticulously repeated over and over again. The precision of CNC machines means the CNC operator can produce complex millwork shapes nearly impossible to achieve manually. 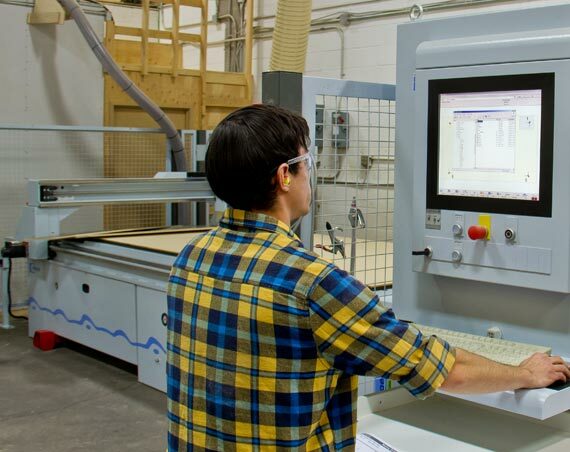 CNC machines are effective for millwork design that requires a high level of precision or for very repetitive tasks.